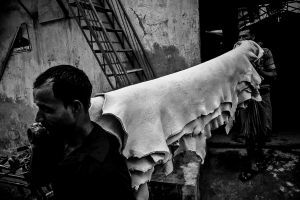 Bangladesh’s leather industry is considered as one of the considerable growth and investment potential, ranked fifth in the export earning sector and covers 0.5% of the world’s leather trade which is worth $75 billion yearly. 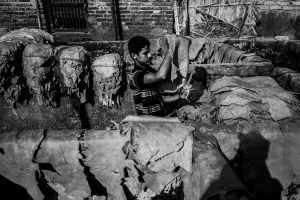 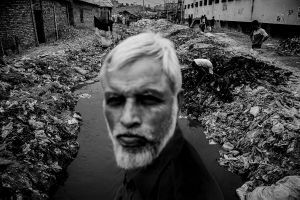 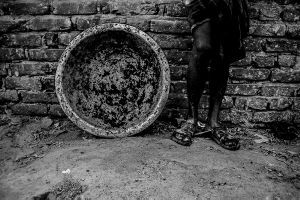 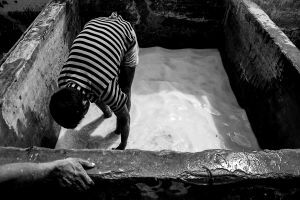 There are 187 tanneries located at Hazaribagh in the western part of capital city Dhaka, Bangladesh. 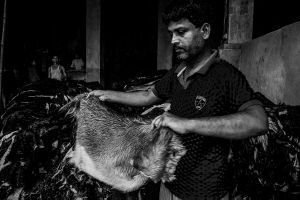 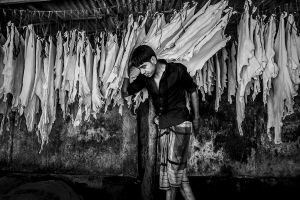 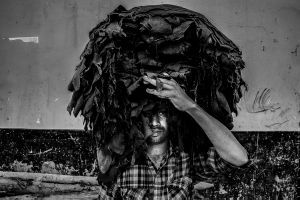 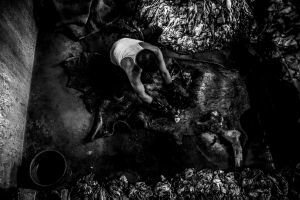 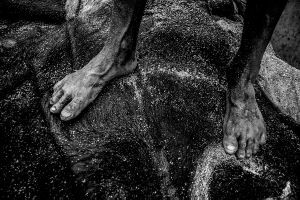 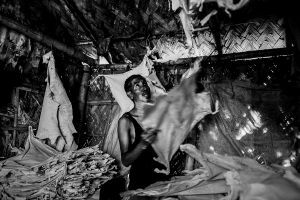 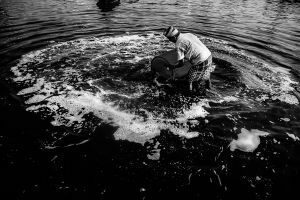 Annually about 85,000 tons of raw hide/skin are estimated to be processesd for leather production in Bangladesh, which generates about 20,000 m3 effluent per day, passes through river Buriganga. 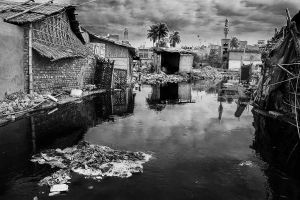 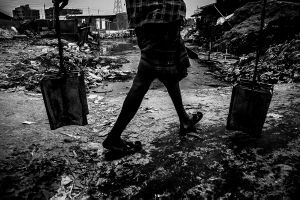 The harmful wastages including chromium, lead, sulphur, ammonium, salt and other materials, are severely polluting the capital city and the river Buriganga. 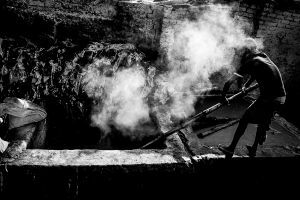 Unfortunately, excluding one modern tannery (Apex Tannery), none of the tanneries has an effluent treatment plant. 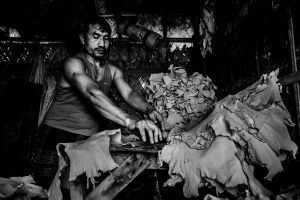 Although, tannery industry is playing a violent role to the ongoing air, water and environment pollution of Dhaka. 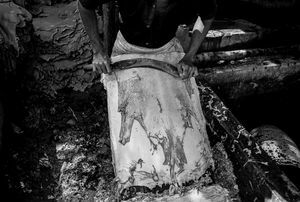 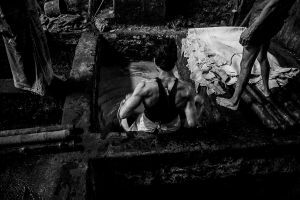 Moreover, the working condition for the tannery laborer is hazardous. 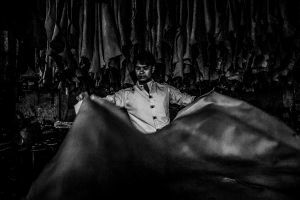 The factory owners don’t provide their worker proper protection like hand gloves, mask, plastic robot. 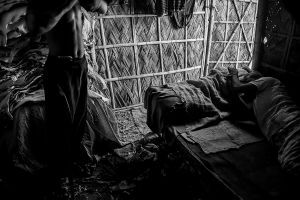 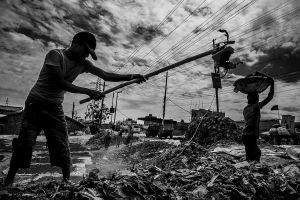 As most of the workers have come forcefully to work here being a climate migrant, they don’t have the voice to raise about their labor right and safety. 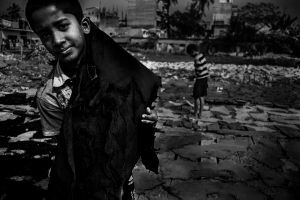 An immense number of child labor is seen also. 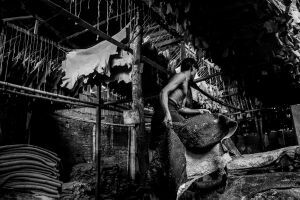 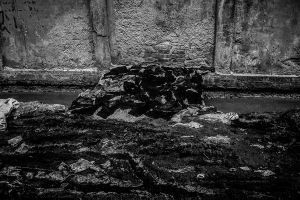 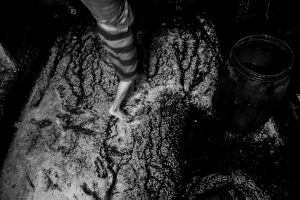 Neighborhood of the tannery factories is facing an intolerable smell, producing due to the use of chemical to tanne animal leather. 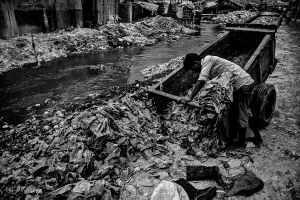 Thus, this billion dollar revenue making industry of Bangladesh is silently killing the future of these workers life as well as the environment of Dhaka Dweller and Buriganga river.